Cats are awesome. It's a proven fact. Even though I'm allergic to them and can't actually own one, I still like keeping up with their misadventures. That's why Cat Quest, the latest game from the guys that brought us Slashy Hero, looks all kinds of fun. The Gentlebros. are actually from Koei Tecmo, so they know their way around a game or two. 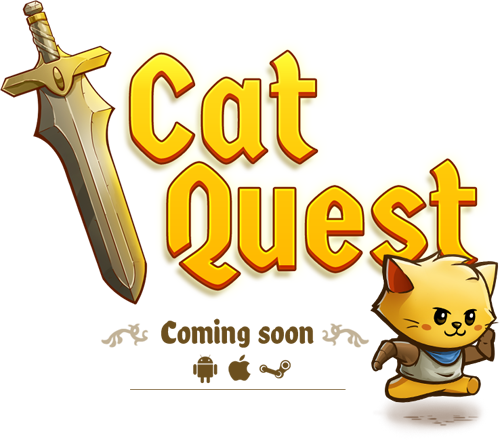 And Cat Quest looks like something that's definitely right up my alley...cat. Instead of switching back and forth on a world map the game actually takes place on one, with a customizable feline hero marching about on the overworld and fighting off enemies. It's coming to iPhone, iPad, Android and Steam, but it won't be out for some time yet as it's planned for a late 2016 or early 2017 release. That should give you plenty of time to think of silly cat jokes since the developers are taking paws to make sure it's the best it can be. Paws. You gotta be kitten me.